For cruise travelers looking for waterways off the beaten path, it’s hard to beat Alaska’s Inside Passage. Bays, coves and inlets draw small ships to their shores where time is measured by incoming tides and seasonal shifts. 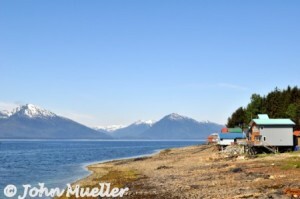 Among the small, remote communities found here, Tenakee Springs stands out. Within this peaceful enclave, colorful homes perch on pilings in a single line along the waterfront. 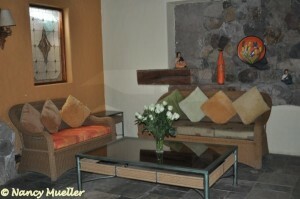 Each share a heart-stopping view of the surrounding snow-capped mountains and wildlife. 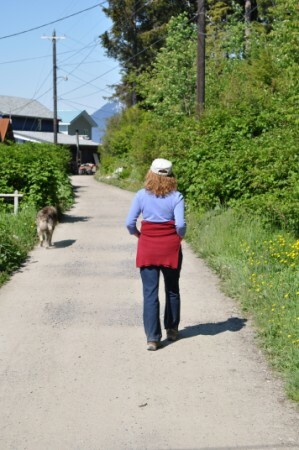 Behind the buildings runs the only road through town, an unpaved path for walking and biking. At the dock we’re greeted by friendly canines who accompany us on our stroll through town. We linger at the Tenakee Hot Springs Lodge, before moving on to the beautifully restored St. Francis Chapel, followed by Snyder’s Mercantile for coffee, pastries and a few mementos of our visit. I can easily imagine holing up here for a couple of weeks, hiking the nearby trails, kayaking in calm waters, whale-watching, only to cap off the days with good, long soaks in the hot springs. After catching up on my sleep, I’d browse the stacks at the Dermott O’Toole Memorial Library, borrow a few books, and most certainly start writing my travel memoir. Ahh . 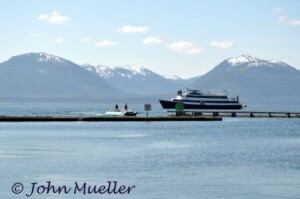 . .
Have you cruised Alaska’s Inside Passage, Wanderboomers? If not, what are you waiting for?? If so, what’s your favorite spot? 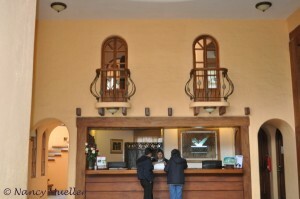 Here are my top hotel choices from my travels in 2011 . . . Drumroll, please! 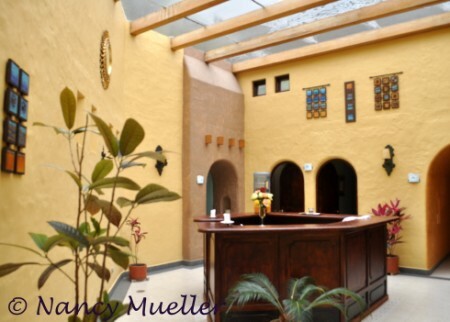 1) Hacienda Cusin – If you’ve been following my blog, then you already know much I loved staying at this luxurious Ecuadorian resort last summer. My only regret is that my visit was so short, only for a night. No matter. 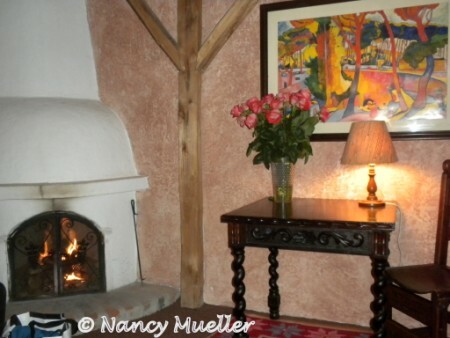 I was still able to take in its beautiful pastoral surroundings and enjoy a couple of exquisite meals in the cozy dining room. 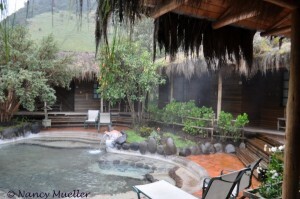 2) Termas Papallacta – I’ve written several posts about this luxurious hot springs and spa that lies high in the Andes, just 40 miles east of Quito. Just imagine starting your day with a restorative soak in one of several pools just footsteps outside your cabin door. Go ahead. Breathe in the misty, clean air brought by the Amazon jungle winds. Afterwards, stroll along the covered walkways that lead to the main lodge where a breakfast of empanadas and exotic fruit juices, like naranjilla or guanabana, await. I can hear you moaning now . . . Or was that me, remembering the experience? The resort, a popular haven for adventurers and health-conscious travelers, is the first in mainland Ecuador to receive the Smart Voyager sustainable tourism certification. Lucky me to have stayed here for three days and three nights! 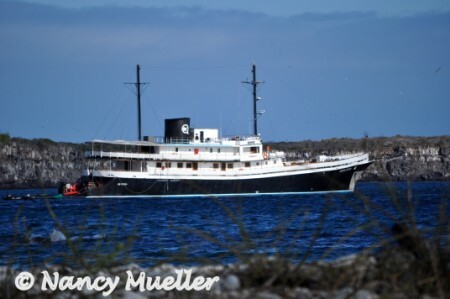 3) MV Evolution – My home away from home for my cruise of the Galapagos Islands was aboard a classic 32-passenger yacht “floating hotel.” Billed as a throwback to memories of exotic travel in the 1920’s, this small-ship was a beauty. With an all-Ecuadorian crew of 18 that included a doctor, cruise director and two naturalist guides, the level of personal service our hosts provided was exceptional. As you might imagine, the sky lounge on the upper deck became a very popular watering hole at the end of our days spent hiking, kayaking and snorkeling. 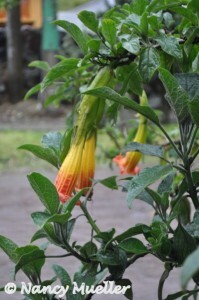 Okay – so far, my top hotel choices for 2011 have all been in Ecuador. But there is one more worth mentioning . 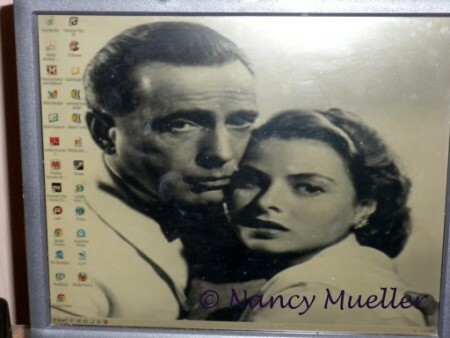 . .
4) Hotel Casablanca in New York City – What a perfect little retreat from the over-the-top bright lights and cacophony of Times Square! 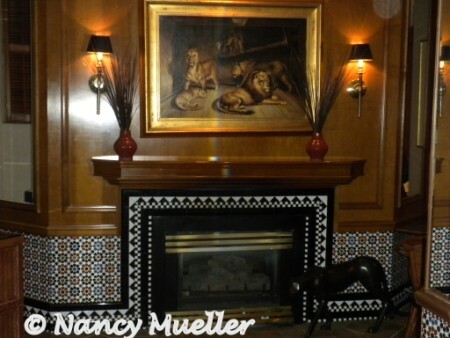 Truly a boutique hotel, with its tiny elevator and narrow hallways, the hotel is a lovely little gem with a Moroccan motif in the heart of Midtown Manhattan. 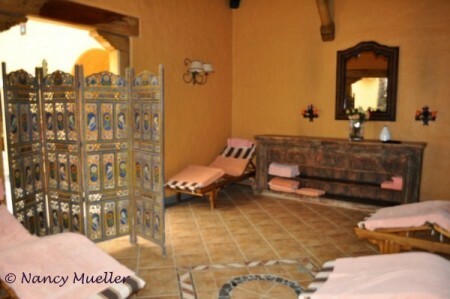 The staff was warm and welcoming, and despite a few problems with the free Wi-Fi service during my stay, the level of service was outstanding. I especially enjoyed Rick’s Café, the intimate lounge where a delicious continental breakfast was provided each morning and a wine and cheese reception every afternoon. So civilized . . . While there, I struck up a conversation with one of the other hotel guests – a young girl visiting New York City with her family to celebrate her 11th birthday on 11/11/11. If you saw The Today Show that day, you saw her, too, along with several other kids celebrating the same event themselves. So much depends upon the care and kindness of strangers when we’re on the road. Whether you want to celebrate a special occasion like my new 11-year-old friend, or simply disappear off the beaten path, each of these hotels offer unforgettable experiences. What hotels made your “Best of 2011” list, Wanderboomers? Tell us why.